Ackerman, J.M., Nocera, C.C., Bargh, J.A. (2010) Incidental Haptic Sensations Influence Social Judgments and Decisions. Science, 328, 1712-1715. Aggarwal, P., Zhao, M. (forthcoming) Seeing the Big Picture: The Effect of Height on the Level of Construal. Journal of Marketing Research. Chen, M. & Bargh, J. A. (1999). Nonconscious Approach and Avoidance Behavioral Consequences of the Automatic Evaluation Effect. Personality and Social Psychology Bulletin, 25, 215-224. Ealen, J., Dewitte, S., & Warlop, L. (2013) Situated Embodied Cognition: Monitoring Orientation Cues Affects Product Evaluation and Choice. Journal of Consumer Psychology, 23(4), 424-433. Hung, I.W., & Labroo, A. (2011) From Firm Muscles to Firm Willpower: Understanding the Role of Embodied Cognition in Self-Regulation. Journal of Consumer Research, 37(6), 1046-1064. Justman, N.B., Lakens, D., & Schubert, T.W. (2009) Weight as an Embodiment of Importance. Psychological Science, 20(9), 1169-1174. Krishna, A. (2011) An Integrative Review of Sensory Marketing: Engaging the Senses to Affect, Perception, Judgment and Behavior. Journal of Consumer Psychology, 22(3), 332-351. Krishna, A. & Schwarz, N. (2014) Sensory Marketing, Embodiment, and Grounded Cognition: A Review and Introduction. Journal of Consumer Psychology, 24(2), 159-168. Larson, J.S. & Billeter, D.M. (2013) Consumer Behavior in "Equilibrium": How Experiencing Physical Balance Increases Compromise Choice. Journal of Marketing Research, 50(4), 535-547. Marin, A., Reimann, M., & Castano, R. (2013) Metaphors and creativity: Direct, moderating, and mediating effects. Journal of Consumer Psychology, 24(2), 290-297. Schwarz, N. (2006) Feeling, Fit, and Funny Effects: A Situated Cognition Perspective. Journal of Marketing Research, 43(1), 20-23. Shapiro, L. (2011) "Embodied Cognition." NY: Routledge Press. Tom, G., Pettersen, P., Lau, T., Burton, T., & Cook, J. (1991) The Role of Overt Head Movement in the Formation of Affect. Basic and Applied Social Psychology, 12(3), 281-289. Van den Bergh, B., Schmitt, J., & Warlop, L. (2011) Embodied Myopia. Journal of Marketing Research, 48(6), 1033-1044.
van Kerckhove, A., Geuens, M., & Vermeir, I. (in press) The Floor is Nearer than the Sky: How Looking Up or Down Affects Construal Level. Journal of Consumer Research, 41. 2005. Wilson, A.D. & Golonka, S. (2013) Embodied Cognition is Not What You Think it is. Frontiers in Psychology, 4(58). Zhao, M., Hoeffler, S., & Dahl, D. (2012) Imagination Difficulty and New Product Evaluation. Journal of Product Innovation and Management, 29, 76-90. 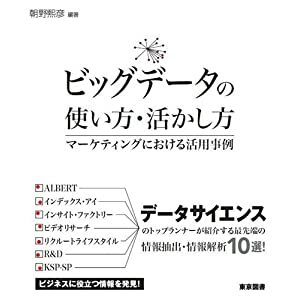 長沢伸也・大津真一 (2010) 経験価値モジュール(SEM)の再考. 早稲田国際経営研究, 41, 69-77.